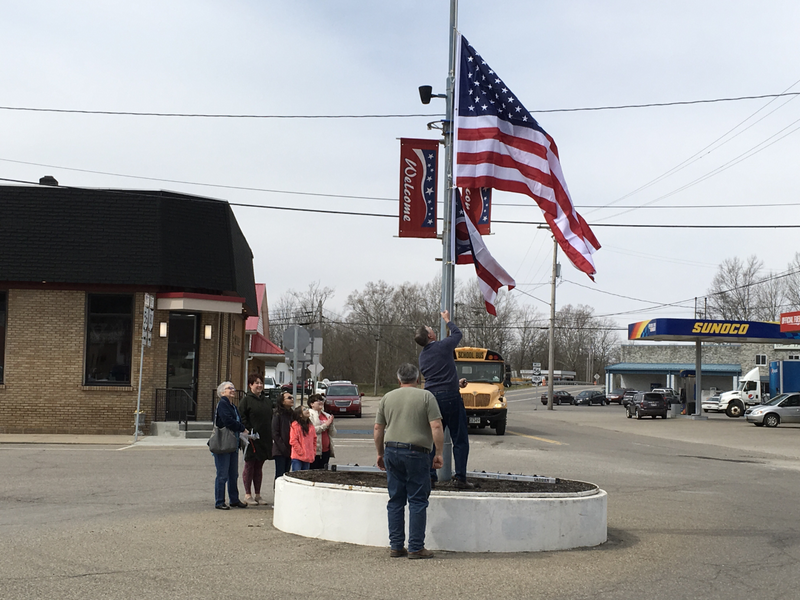 The Village of Laurelville recently improved the flag pole at the center of the village, thanks to the efforts of two groups of local students. 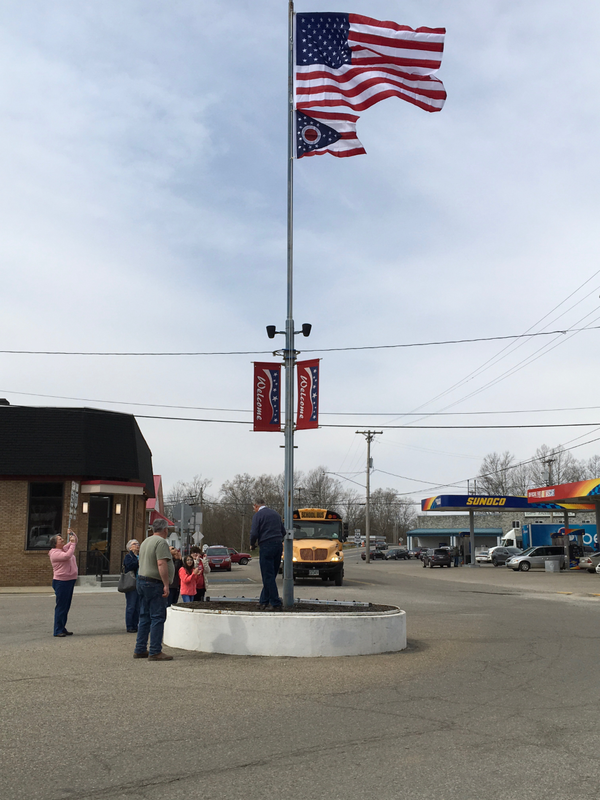 Students from Mr. Brent Ebert’s Machining and Manufacturing class at Pickaway-Ross CTC designed a new crack and shield for the pulley system, allowing flags to be raised and lowered with ease, without the use of a ladder. Laurelville Elementary School’s Student Council used funds they raised to purchase a new United States of America flag as well as an Ohio flag to be displayed on the newly improved pole. Don Kempton, Jr and Sue Ann Hinton, members of the Laurelville Village Council, met with fourth grade students and their teachers, Heidi Woods and Belinda Wolfe, to accept the new flags. 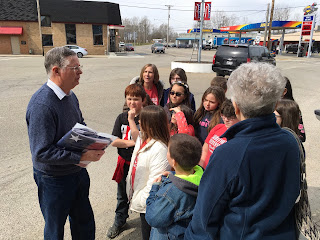 Students also participated in the raising of the new flags for the first time. 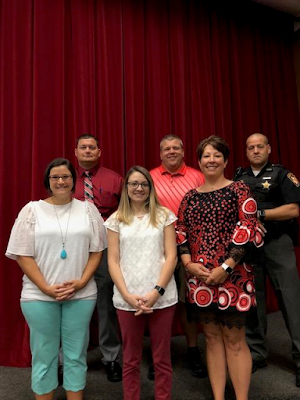 Mr. Kempton and Ms. Hinton thanked the students for their assistance in improving their village and spoke with the students about the importance of community service.